Motrout has attached these 3 pictures to this report. The message is below. 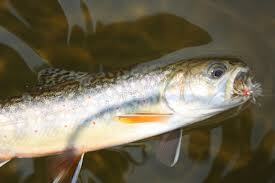 Hatches-Nothing to speak of on the Pine or Big Manistee, except a few sparse trico hatches in the morning. 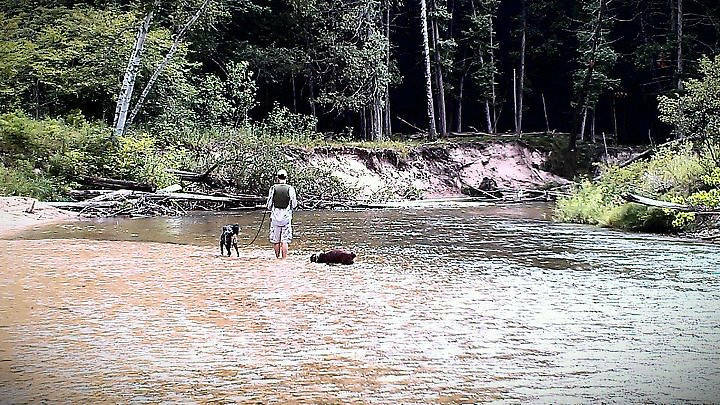 Not much more significant on the Little Manistee, but there were a few fish rising anyway. Posts: 319 I'm now back from a ten day trip to the northwest section of Michigan's LP, and it was a good one. 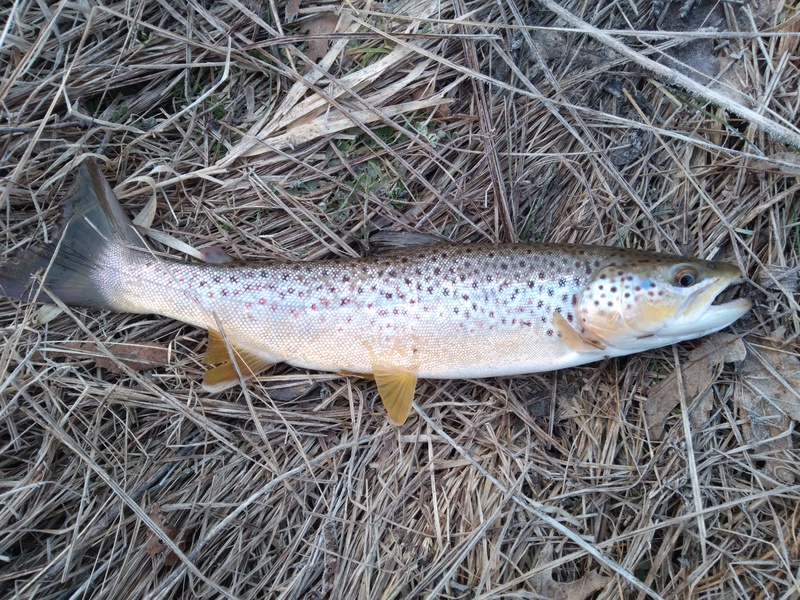 I didn't know what to expect from the trout fishing in this area, but for the most part it was a pleasant surprise-at least in the number of fish present in the streams I fished, if not the size. The scenery was far and away the most enjoyable aspect of the trip for me though, particularly along Lake Michigan's shoreline, but also on the inland streams. It's just not possible to imagine a more beautiful part of the north woods. 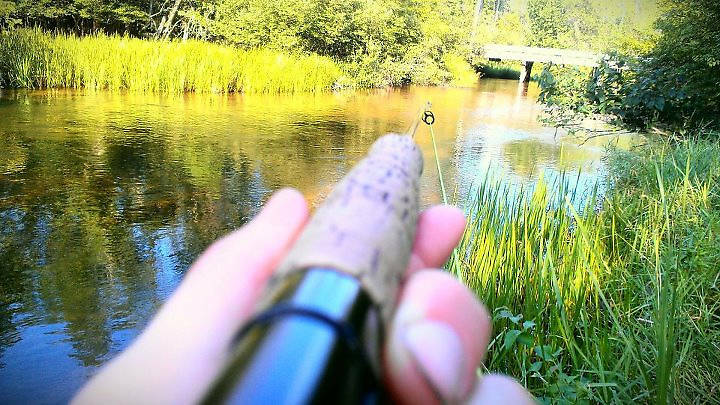 The first few days we floated and fished the Pine River. The Pine is a fun (though slightly difficult paddle) and the high sand banks along it make for some truly memorable scenery. Fishing-wise, goodness is it a tough cookie. I worked my hardest to catch a few small rainbows, but the fish themselves were brilliantly colored and worth the effort. 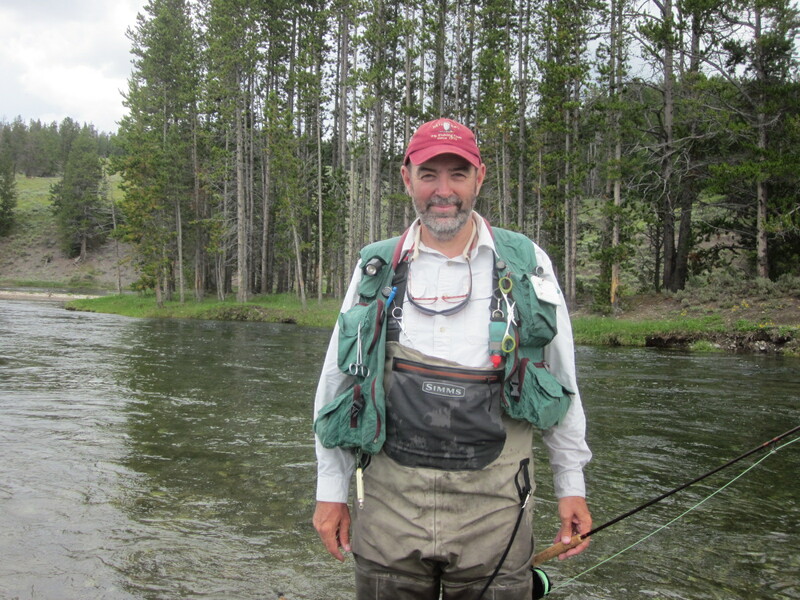 Could be wrong, but it didn't seem to offer much in the way of dry fly fishing. It's just too muddy, with only about a foot of visibility. The trout responded to the flashiest, most visible stuff in my box not surprisingly, though given the small size of the fish, tossing really large streamers wasn't an option. This is a river I need to come back to and give a full week of my attention (if not more.) Then I might begin to fully appreciate it. We fished the lower Big Manistee below Tippy Dam next, targeting smallmouth bass. I didn't want to target trout because water temps were in the low 70s, and I was worried about stressing them out. In any case, I didn't really realize this stretch of river even had a resident trout population. All I'd heard about were the salmon/steelhead in the cooler months and smallies and walleye in the summer.But the small browns were eager and I did catch several even though I didn't want them. After it was becoming clear that the warm-water species I was targeting weren't going to make much of an appearance (though I did catch one smallmouth) we decided to walk away before too much damage was done. The rest of the trip we focused on the Little Manistee, and a couple warm-water ponds. The Little M was running cool enough and was fishing fairly well for small rainbows up to about 8 inches. I was told afterwards that these were immature steelhead in reality, which explains the lack of variance in size. I'm not really a big fish guy, so catching these little trout on light tackle was enjoyable enough for me. Anyway, it was a good trip, and it appears that I even brought some of the cool weather back with me, as the temperatures here in MO have dropped down into the 80s. 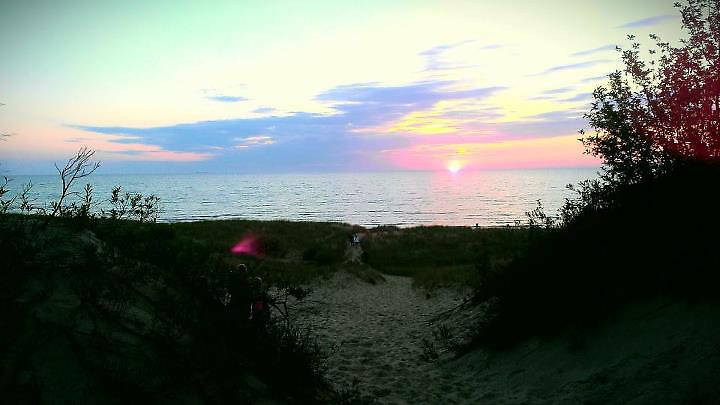 I will miss Michigan until my next trip (hopefully soon) and you guys who live up there are blessed. No fish pics, folks, because as you've probably already figured out, I didn't catch a single trout (or smallmouth bass) over about 10-11 inches...Oh well. It's unfair to expect to hook into big fish your first trip somewhere, unless you have an acquaintance in the area who can help you out or can shell out the money for a guide, though I do believe I took the whole small fish thing to new heights. But I do have a few scenery pics anyhow. I will miss Michigan until my next trip (hopefully soon) and you guys who live up there are blessed. Looks like you had a nice visit. Again, glad you made it up here and Spence & I will set you up for sure next time you come. P.S. I have a guest room! The folks just came up last week and stayed, had a nice visit with them. And Spence, it has NO BATS!!! Posts: 319 Thanks guys, and I'd definitely like to fish the eastern side of the state. The offer is much appreciated Jmd. You guys have a fly fishing paradise up there that I can only compare to Montana. You guys have a fly fishing paradise up there that I can only compare to Montana. Ssssh! Not so loud. :) There are no wild trout in Michigan...No one up here but us mice...;) Oh! and a few bats. Posts: 1 I see that you like my back yard as much as i do , I live on the LM river and fish all them places and more much more there is a bounty of rivers that a trout nut would love to fish on them rivers can be hard to get right but when you do look out, would be glad to show you how to work the pine river to catch fish on flies, as there some nice natives in that gem of a river. 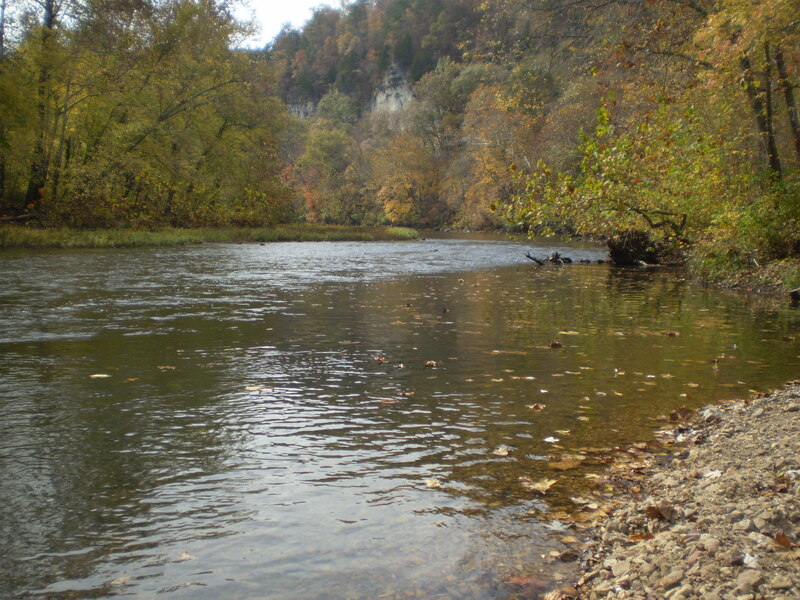 And some other rivers and creeks and streams.good luck and tight lines. Go find them they are there!! !